Dave Wild believes we can all have a part in creating a bright future. He inspires audiences around the world with insights to open their minds to new possibilities ahead. His engaging and inspiring approach challenges and energises audiences. From international conferences to strategy days, it's vital that speakers do more than just inspire your audience. Otherwise the impact is far too short-lived. This is a critical difference in the approach Dave Wild takes as a Futurist – not just inspiring and informing but also energising audiences to move into action. As an innovation-led Futurist, Dave Wild always tailors his presentation to your event and audience requirements. For example he speaks on “The Future of...” across a diverse range of industries from finance to manufacturing. Albert Einstein. Henry Ford. Anita Roddick. Steve Jobs. Giants of the past who shaped the world we live in today. While most people instantly recognise giants of the past, too few know the names of many of the giants reshaping our world today. Meanwhile, from virtual reality to artificial intelligence, a number of fast-moving trends are set to impact on our future. While the ability to do this requires a change in thinking, with the right techniques the shift is a learnable skill. 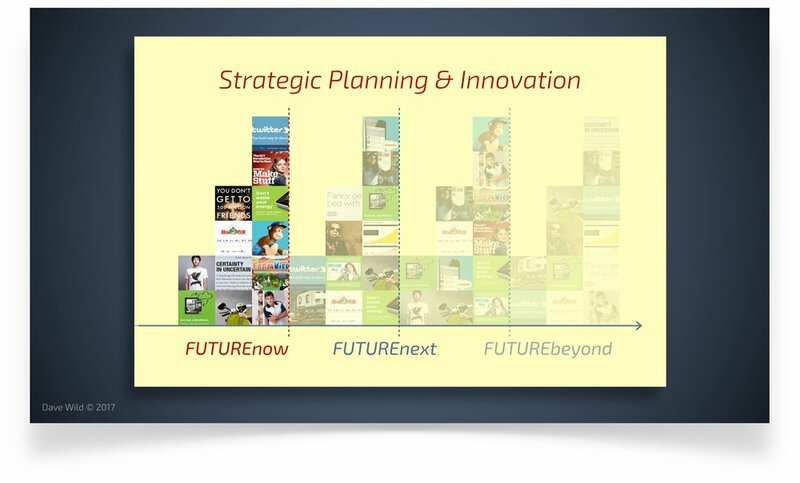 So during this interactive presentation you’ll not only explore the future, you’ll actively start creating it. In the new age of artificial intelligence, it’s becoming more important than ever to understand what capabilities are uniquely human. Leveraging new insights to better prepare for future shifts ahead. Learn how visionaries and innovators use Superhuman Thinking to change the world. Then walk away with a new mindset for creating your own future. Nothing is more central to the success of any organisation than its people. Setting effective strategy isn't about plans and process, it's about anticipating and shaping beliefs and behaviour. However a significant disruption is well underway. What seems to be overnight change often plays out over a decade, as a generational shift in leadership takes place. For example while email is the default communication channel for most leaders today, with 1.5 billion people actively Facebooking you'll get a very different response from the future leaders now entering organisations. As a result an invisible gulf is widening within our workplaces, with different generations failing to connect across the differing channels. Many business leaders choose to ignore these pivotal shifts, until the shift in forces is too great and the inevitable happens. However future-focused leaders not only anticipate these shifts, they create them. So instead of being Uberised or Netflixed they innovate and predict the future by creating it. This presentation begins with an interactive briefing on critical trends. But it doesn’t stop there, because you’ll then learn how to accelerate your own ability to scan for trends. To go further. Faster. However it’s one thing to identify a market shift. It’s far harder to convince others to take action as a result. So you’ll then discover how to apply visionary leadership techniques to challenge the status quo, inspiring others to take action. It’s all too easy to assume that the way the world is now, is the natural state it will remain in. So it’s important to challenge your own mindset by exploring why past shifts happened, then leveraging that insight to better prepare for future shifts ahead. What seems like “overnight change” often takes a decade to play out. This fast-moving world is actually changing at a slower rate. However because many busy people fail to detect and examine the change as it’s happening, it sneaks up on them creating avoidable disruption. 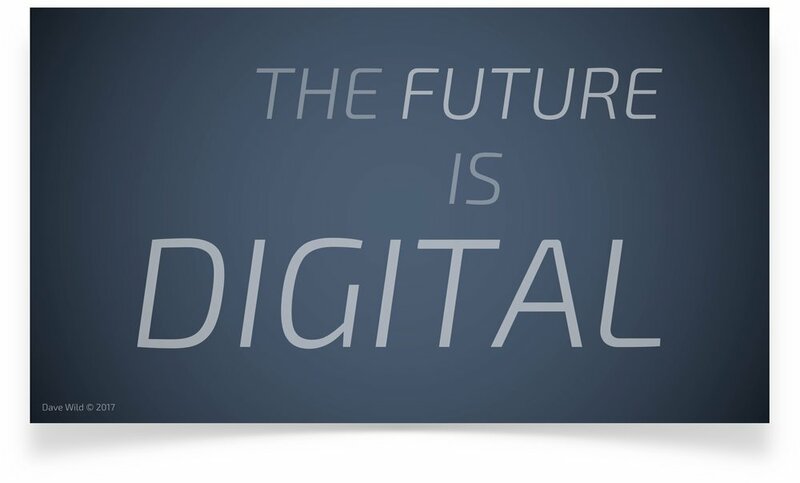 For example digital and mobile aren’t the future. They’re past trends still playing out. So what’s next? From artificial intelligence to mixed reality, the worlds of bits and atoms are merging. Requiring new ways of servicing customers and changes in digital platforms. In this interactive session you’ll gain a deeper understanding of this fundamental shift. You’ll learn how visionaries and innovators are using Superhuman Thinking to change the world. Then you’ll walk away from the session with a new mindset for creating your own future.